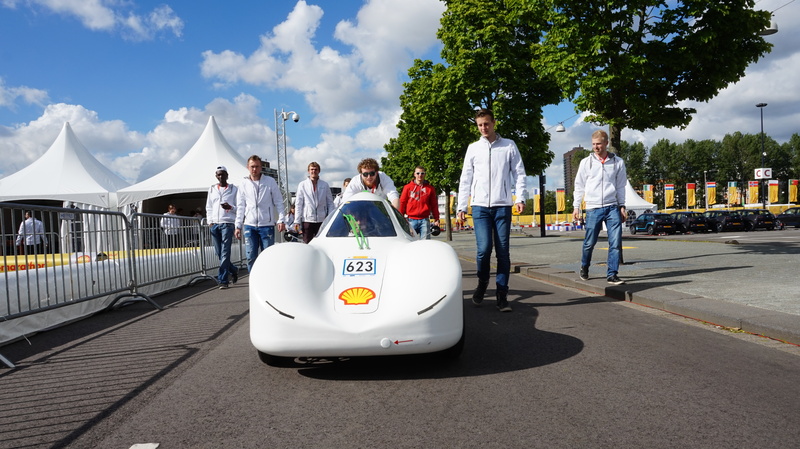 Ever since 2014 electric vehicle EVA takes part in the Shell Eco-marathon Europe competition. 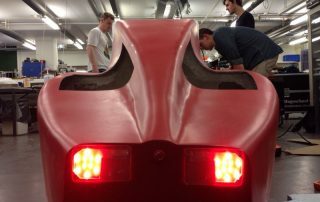 EVA is a four wheeled vehicle which quite resembles our-day-to-day road cars. She is powered by a battery. 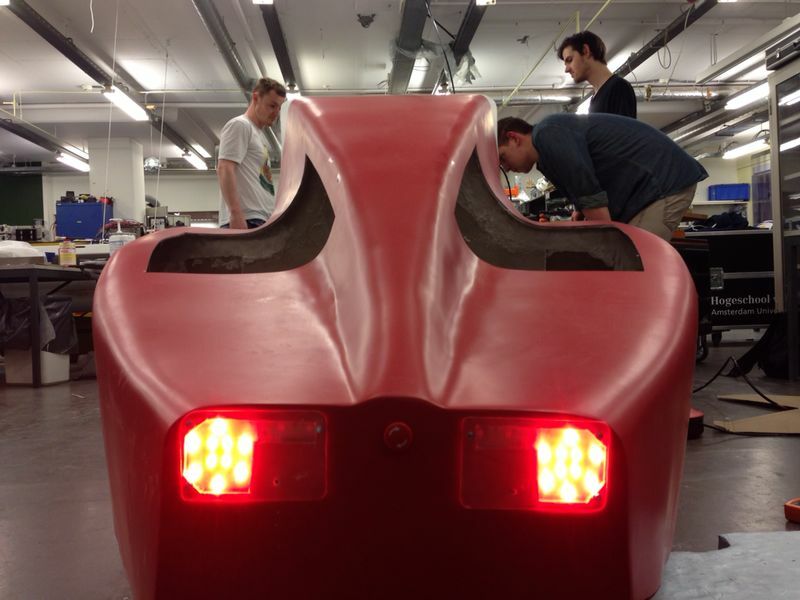 A future goal is to develop EVA into a street legal vehicle. 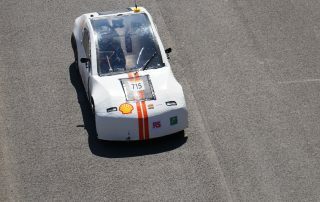 With an overhaul of the electric system and a completely new drive train EVA started of well in the 2017 edition of the competition. 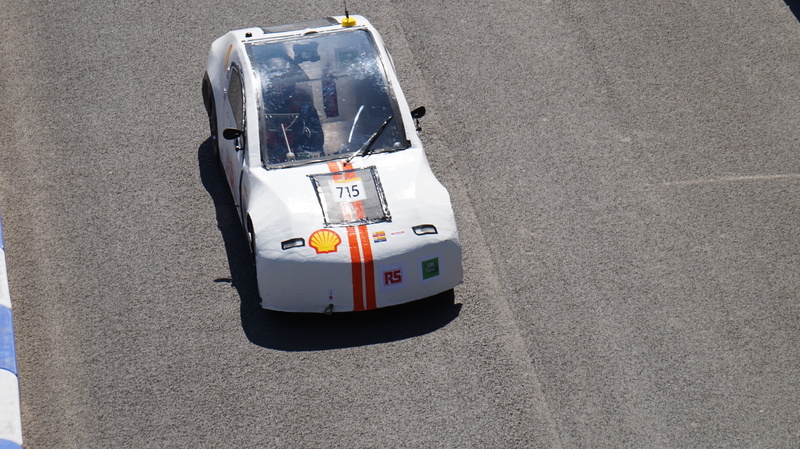 The first test run ended after 9 laps leaving room for improvement but nevertheless a promising result. However, all official tries had something which wasn’t quite right about them leaving EVA empty handed. 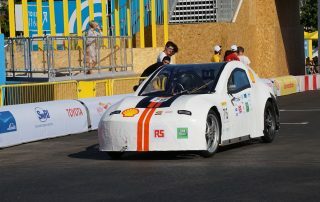 This year EVA once again participated in the battery electric category for which -again- a new body was developed. 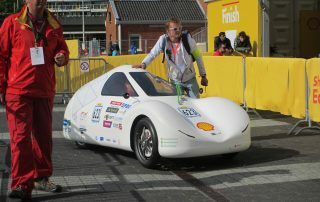 Due to a lot of technical difficulties the new vehicle wasn’t able to set a score. 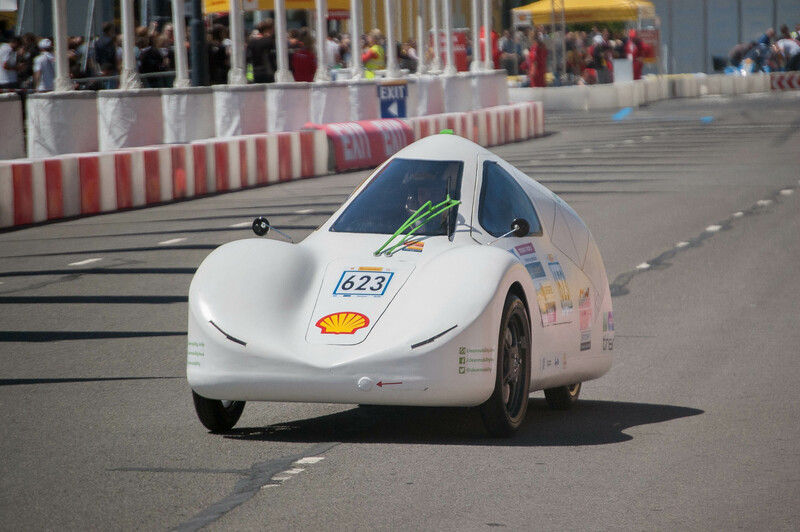 This year EVA participated in the hydrogen category using one of two custom fuel cell systems. 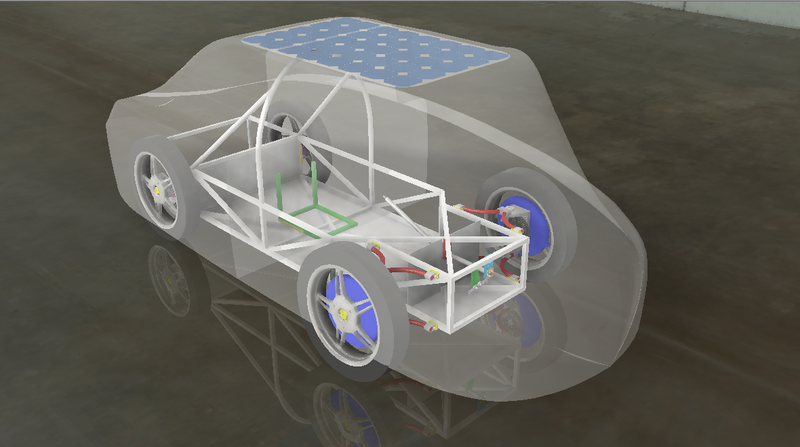 For this purpose a completely new vehicle was developed and build. 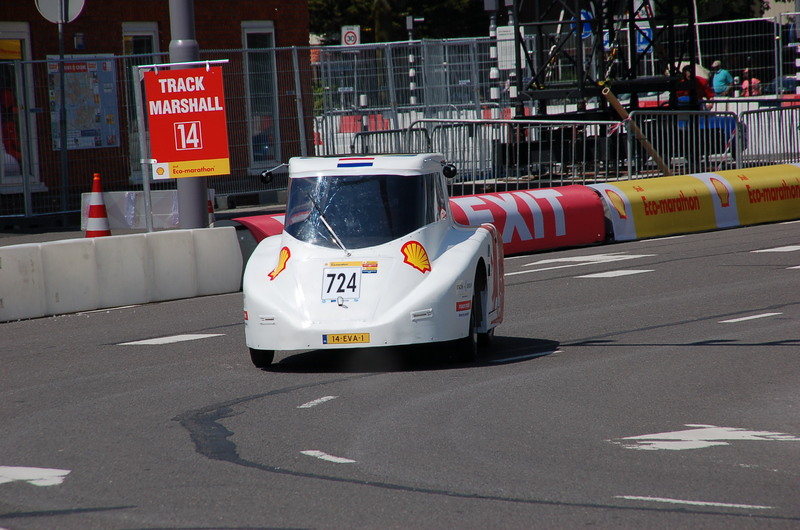 Eventually it didn’t turn into a good result as EVA ran out of hydrogen after only 5 of the required 10 laps. 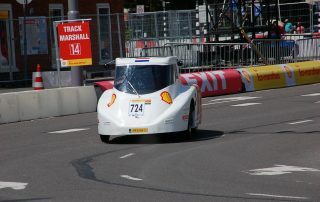 During its first ever entry in the Shell Eco-marathon EVA managed to finish in sixth place in their category. 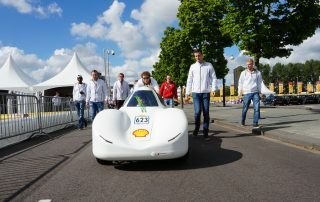 The vehicle was completely build from the ground up and set a score of 177,9 km/kWh. 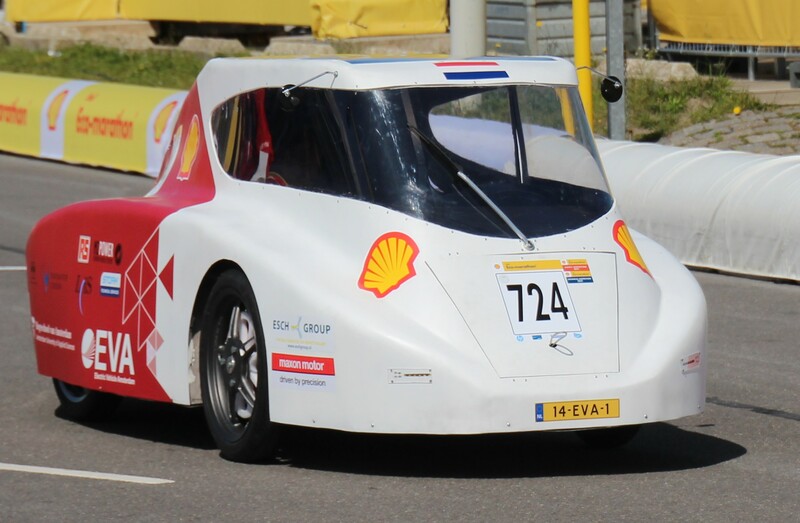 EVA started competing in the Shell Eco-marathon Europe ever since 2014. 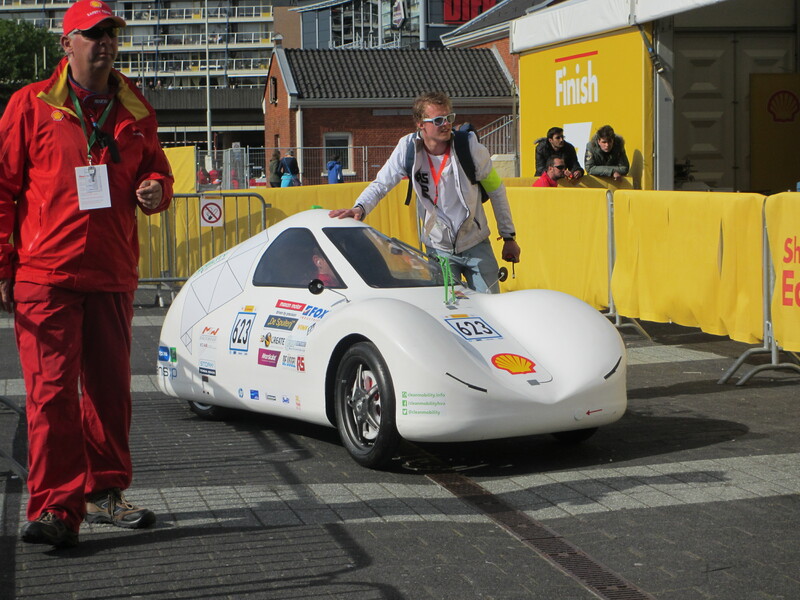 During it’s first participation it came in 6th in the Urban Concept Battery Electric category. 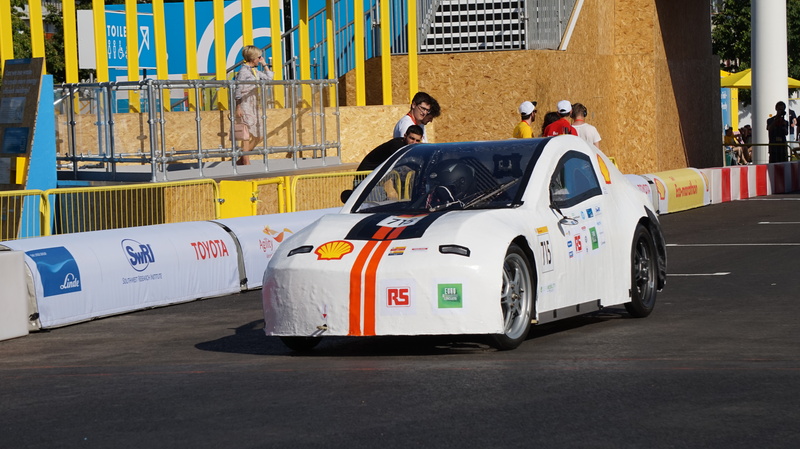 The year after EVA was rebuild into a hydrogen car but was unable to set a score in the Hydrogen Category. 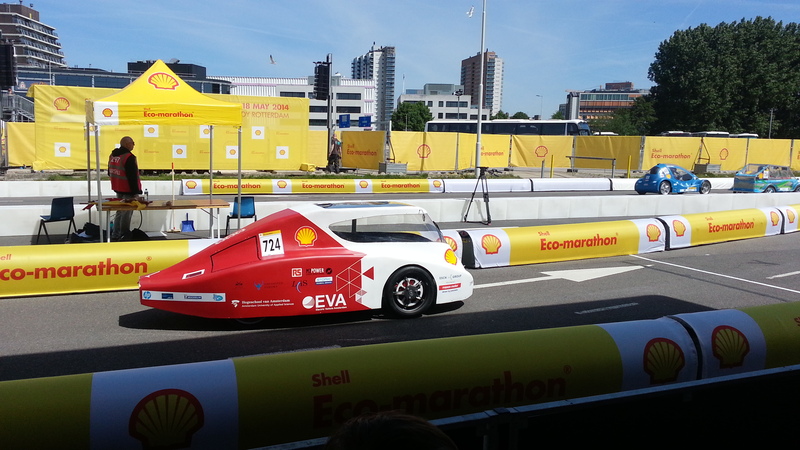 Back in the Battery Electric category and completely redesigned EVA again was unable to set a score. 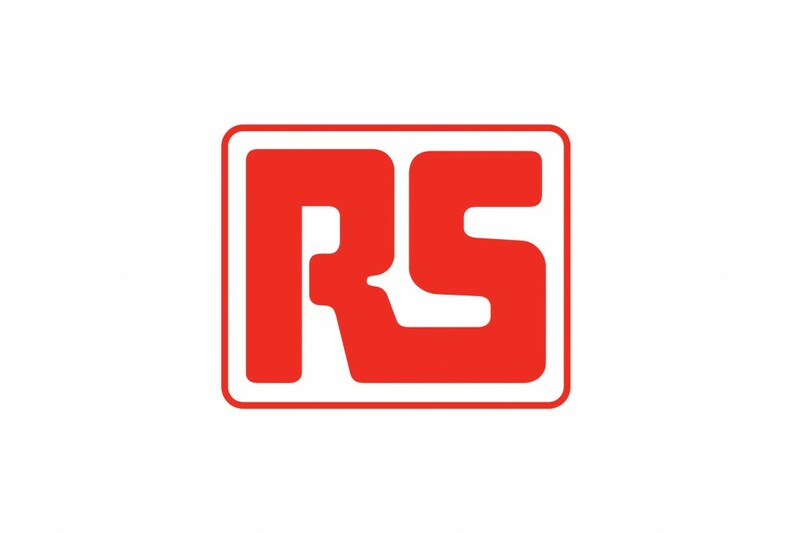 This time due to technical difficulties. 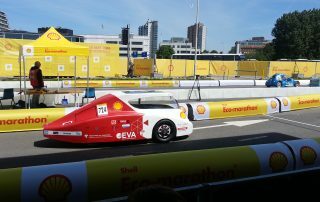 In the 2017 competition EVA drove a total number of 37 laps but wasn’t able to finish a set of ten as required to set a score.